Please take a moment to visit the links below. I am sure you will find them to be excellent resources. Feel free to bookmark the sites that you feel will benefit you. I enjoy this site because the entire Bible is read by Stephen Johnston. It keeps track of the number if chapters that you have read so far for the year. Often I will ready a chapter, then have it read to me to give me a better understanding of how it could be read. I find this is a good resource for sermons online. 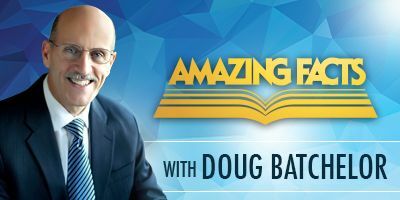 Doug Batchelor has an excellent way of presenting the Bible in a factual and thoughtful way. If you enjoy a style that is quieter than most preachers, you will like Doug Batchelor. When I first visited this website I spent days absorbing as much information as I could. The views on this website come from the idea that there aren’t separate sets of evidence for evolution and creation. The difference lies in how we interpret the evidence. With a Biblical world view as the starting point, they do an excellent job explaining earth’s history in thousands of years and not millions, and how to understand the fossil record or dinosaurs. I strongly recommend this site. Another excellent website. I enjoy the live stream. I attended a sermon on Revelation 13 recently and Steve Wohlberg did the presentation. It was quite good to have such a clear understanding of prophecy. This site has available audio and video to watch and listen. Also it has a store to buy.